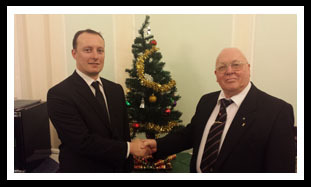 The Lodge meeting for December saw Bro Stuart Ellis passed to the second degree in freemasonry, the ceremony was well delivered by the members of the lodge and Bro Stuart gave an excellent account of himself. 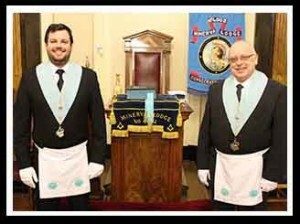 The original plan for the evening was to pass Bro Phil McBride to the second degree but due to work commitments we had to sub Bro Stuart in at the last minute. It was another great night for the Lodge and for our Worshipful Master Don Chetwynd who gave a wonderful performance from the chair. 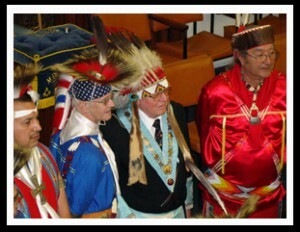 Thanks to everyone who played a part in the lodge ceremony. 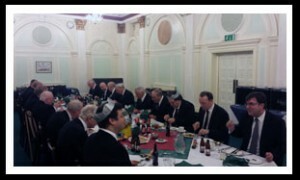 After the work we went through to the festive board and as the time of year dictated it was a “Festive” Board, with Christmas crackers and a small Christmas Tree in the corner of the room. The meal was fantastic as usual, since the new catering team have modernised the menu and improved the food standards things have become drastically better. Here are some pictures from the festivities…. On Friday the 29th November Minerva Lodge hosted a social evening at the Liverpool Masonic Hall in Hope Street, where 80 people attended a wonderful evening of entertainment and fundraising for the RNLI and our lodge. 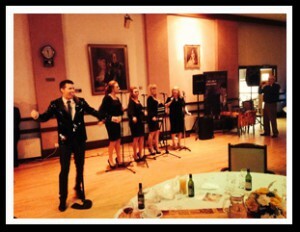 The evenings entertainment was a swing extravaganza with the wonderfully talented Acer Murphy and the Harmonettes, along with comedy from Pauline Daniels. 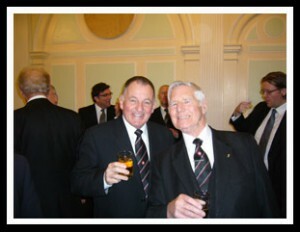 The lodge members and their partners had a wonderful night and thoroughly enjoyed themselves. A massive thanks goes out to Sue Webster, who’s father John Cawley was a much loved member of our lodge and is sorely missed. 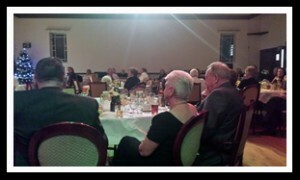 Sue works tirelessly to raise funds for the Royal National Lifeboat Institute and this evening was no exception. 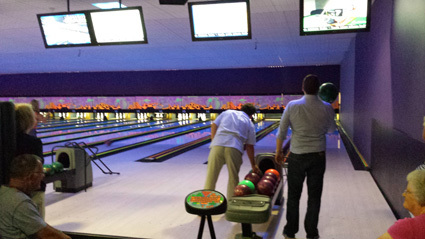 Plans are already in motion to run this event again next year, but on a larger scale. 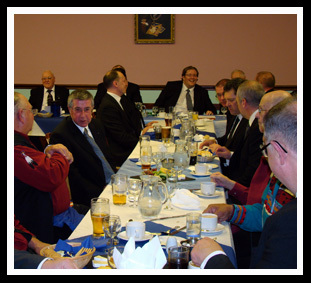 “An evening that will live long in the memory.” – is how the Worshipful Master described the last regular meeting of Minerva Lodge 4002. 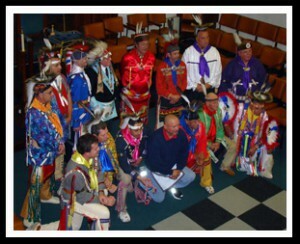 The lodge has been working so hard to make our Indian night a success, and it was. 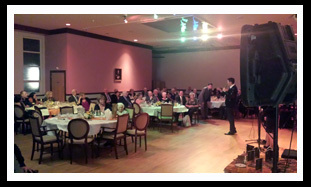 The evening began with Worshipful Master Don Chetwynd, opening the lodge in the usual manner and then handed over to the Oklahoma Display team which comprised of 16 Masons from various lodges throughout the Oklahoma area. The demonstration began with a thoroughly animated and excellent piece of ritual by W.Bro Joe form the Indian display team, who was then joined by W.Bro Cap and many more from the group in delivering what is essentially one of the greatest pieces of Masonic ritual I have had the pleasure of witnessing. 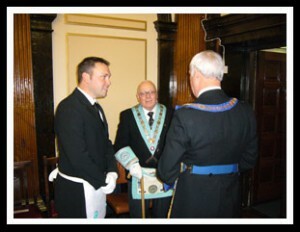 The ceremony wasn’t just recited, it was acted, and more so, acted with conviction and gusto. The whole experience is one that I and anyone who was there on the night will never ever forget. 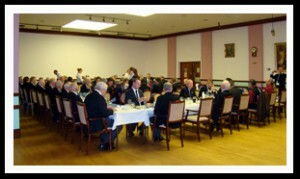 We dined with 63 members and guests that evening and raised nearly £250.00 for the Charities. 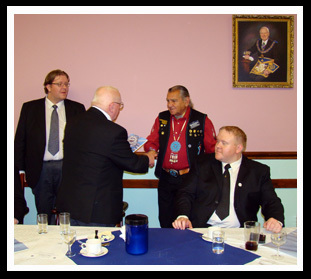 One of the Indian Display Team W.Bro Butch, hand beaded a specially carved Gavel for Auction at our festive board which raised a staggering £180.00 on its own. The Lodge in its appreciation gave the Oklahoma Indians a copy of our lodges yearbook as a token of our gratitude for their hard work on the night. 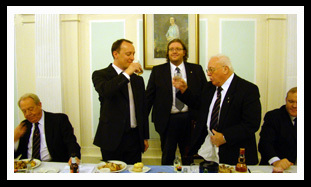 The organisation of this event began last year, and has been carefully planned and executed by the Worshipful Master Don Chetwynd and his Treasurer Miles Cotterall as well as always with the assistance of our lodge secretary W.Bro Ted Bickley. 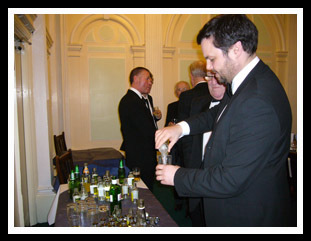 Credit is due to all involved in the organisation of this evening, W.Bro Keith Jackson was instrumental in the preparations for the evening as well as many of our guests including W.Bro Jason Hengler, who helped sell many tickets for the event, and W.Bro Ian Rooney, who helped us set the lodge up and break it back down again. We would like to thank the friends and guests of Minerva Lodge who supported us this evening and a massive thank you to the Oklahoma Indian Display Team, for their brotherhood, their diligence and the pleasure of their company. 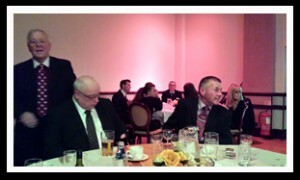 An enjoyable meal and great company. 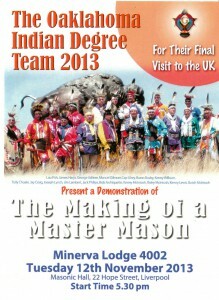 Minerva Lodge is proud to host a demonstartion of the thrd degree by the Oklahoma Indian Display Team, this will be their last ever visit to the UK and should not be missed by any one who is a third degree Master Mason. 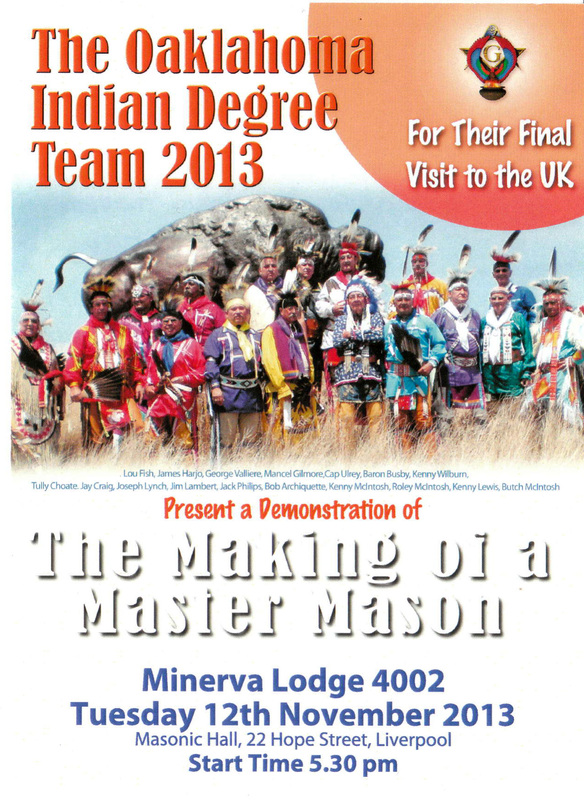 It will be held on the 12th November 2013 and starts at 17:30pm. We are holding this event in the Hope Street Hall in Liverpool in the Corinthian suite. This is an evening not to be missed. 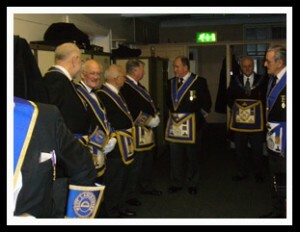 The lodge reformed after the summer recess for a fantastic evening welcoming our new brother into the lodge. 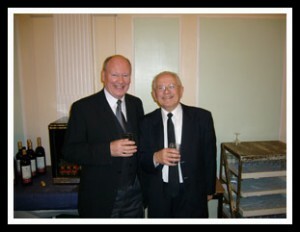 Stuart Ellis was introduced by his long time friend Matthew Timmins to Minerva lodge and was initiated on the 8th October 2013. The ceremony was carried out by a an eclectic group of our members as we had an estimated 10 brethren not in attendance due to personal situations, many of whom we will be happy to see again at the next meeting. 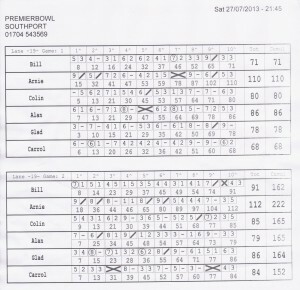 The highlight of the evening was the Antient charge, which was performed by Colin Berrington, David Luing, Arnie Neale and Matthew Timmins. 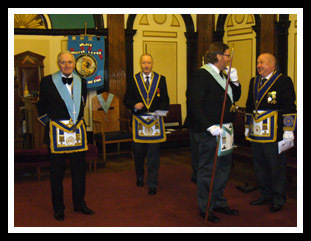 The ceremony was seamless in its performance and congratulations are owed to all involved, especially Martin Farmer and Jason Hengler who both stepped in to roles on the evening and helped the lodge out greatly. Special mention should also be made to David Luing and Arnie Neale who not only performed part of the Antient Charge, but also took up new offices in the lodge due to absences in the form of the Organist and the Inner Guard respectively. The food at the Masonic Hall has been greatly improved as of late, and as such has seen some very quiet festive boards, whilst the members are enjoying their meals. The Menu on the night was, Pate to start, then Roast Poussin with potatoes and Veg and finished off with a shortbread and strawberry dessert with chantilly cream. 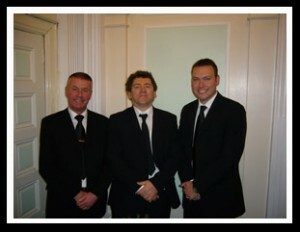 Many congratulations are due to the Hall staff in their massive contribution to the improvement of our magnificent hall. 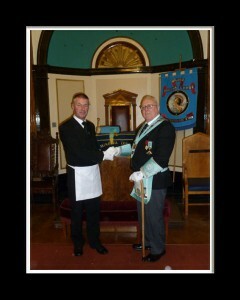 Finally we offer our congratulations to Stuart on his being admitted a member of our order. 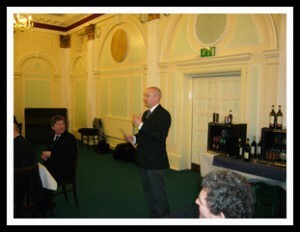 Stuart was an ideal candidate and gave a great after dinner speech which gave us all a smile. 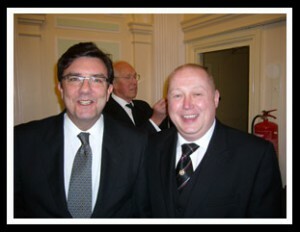 I hope that he enjoys many years in our lodge and we all look forward to seeing him again at our next meeting. 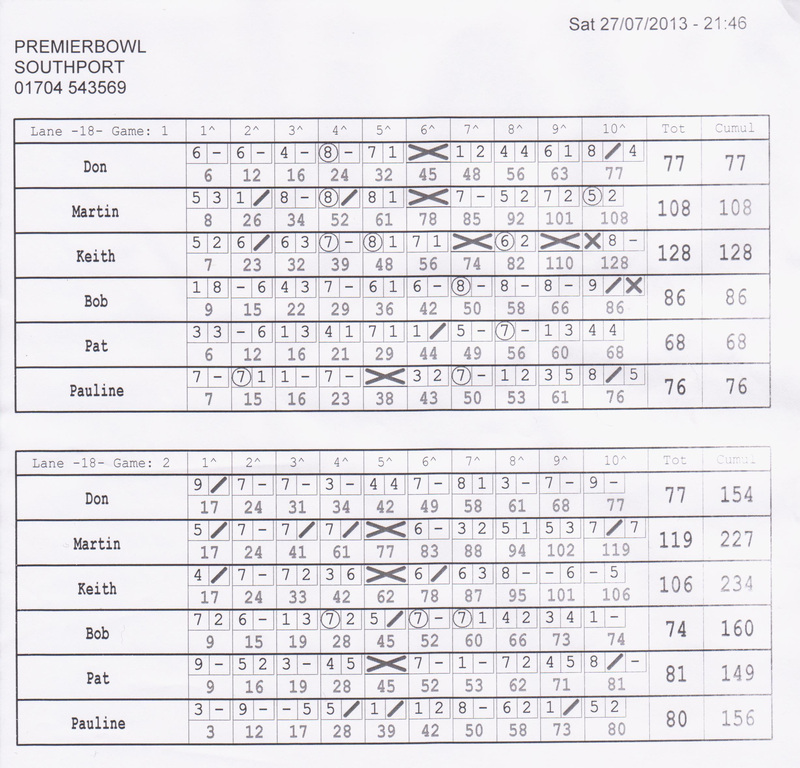 Here are some images of the evening…. 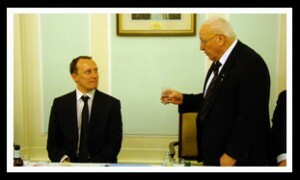 Stuart and Don take wine together. The summer break is well under way but the members of Minerva are still enjoying each others company. 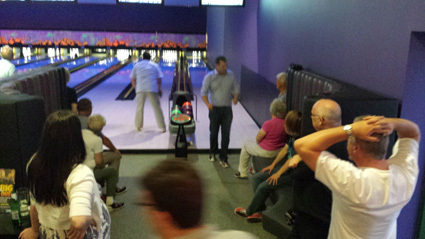 The 27th July saw the Lodge meet up in Southport for a superb evening of 10 pin bowling. It was well attended and thoroughly enjoyed by all. 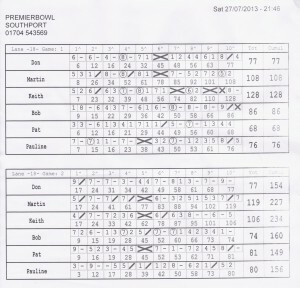 The first game saw many people finding their feet, and we must report that some injuries were sustained by some of our more gung ho members, although nothing that stopped them from competing and eventually winning their games (Arnie Neale). 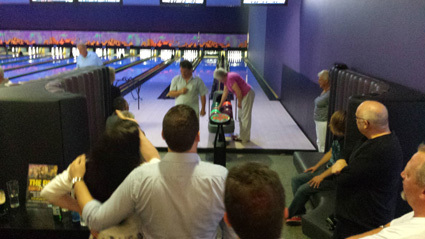 A half time break ensued, with a buffet and plenty of drinks, and once everyone was fed and watered, the second game began. 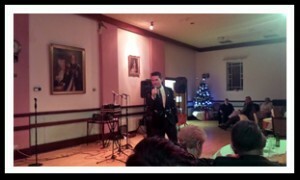 Here are some photos of the evening. Thanks to all who came along and due to the overwhelming success of this evening, I should imagine it will become a regular fixture on the Social calendar. 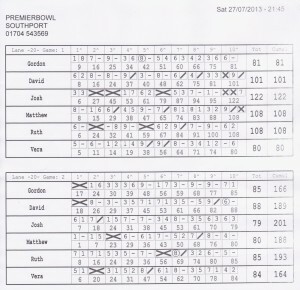 As if our performances on the night weren’t embarrassing enough, I have the score cards, and have uploaded them for your amusment. The summer break was preceded by one last meeting for Minerva Lodge 4002 this year. 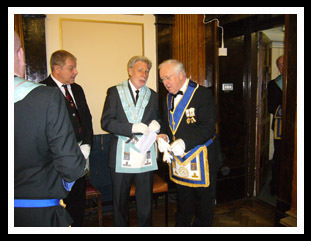 The members held an emergency meeting to raise Bro’s Arnie Neale and Garth Prescott to the sublime degree of a Master Mason. The ceremony was superbly handled by the Worshipful Master Bro, Don Chetwynd and his Wardens W.Bro, Bob Farmer and W.Bro, Colin Berrington, with particular thanks to our Deacons; Bro, Alan Ritchie and W.Bro, George Andrews who did a wonderful job on the night, especially W.Bro, George who was nursing a very painful knee at the time, but soldiered on all the same. Also a word of Thanks for W.Bro, Jason Hengler, who came as a visitor and helped out with certain aspects of the floor-work during the ceremony. For Garth Prescott this sees the culmination of a dilatory journey to the third degree, as his work (which involves him leaving the Country every few weeks) precluded his attendance for every meeting and we had to schedule his advancement in tandem with his work rota. We are none the less delighted to see Garth in his new light blue apron along with Arnie. Arnie (much like Garth) came into Minerva Lodge not knowing any of our members, and has settled in very quickly, he has volunteered for jobs that many would shy away from, but he gains much satisfaction in helping others and being particularly active in (and out) of the lodge. 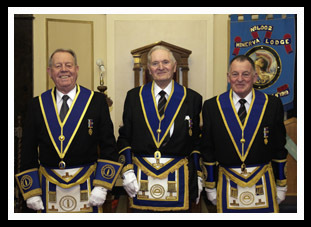 We offer our congratulations to all the Brethren of Minerva Lodge 4002 on this emergency meeting, but particularly to Garth and Arnie on their advancement in the craft, the evening was very well attended, and a pleasure to be involved in. 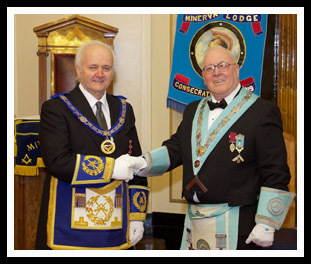 This month saw our regular meeting reach the crescendo of the early careers of two of our members as they advanced to the third degree in Freemasonry and were made Master Masons. Matthew Timmins and David Luing were raised in superb fashion by the ensemble crew of willing participants from Minerva Lodge. 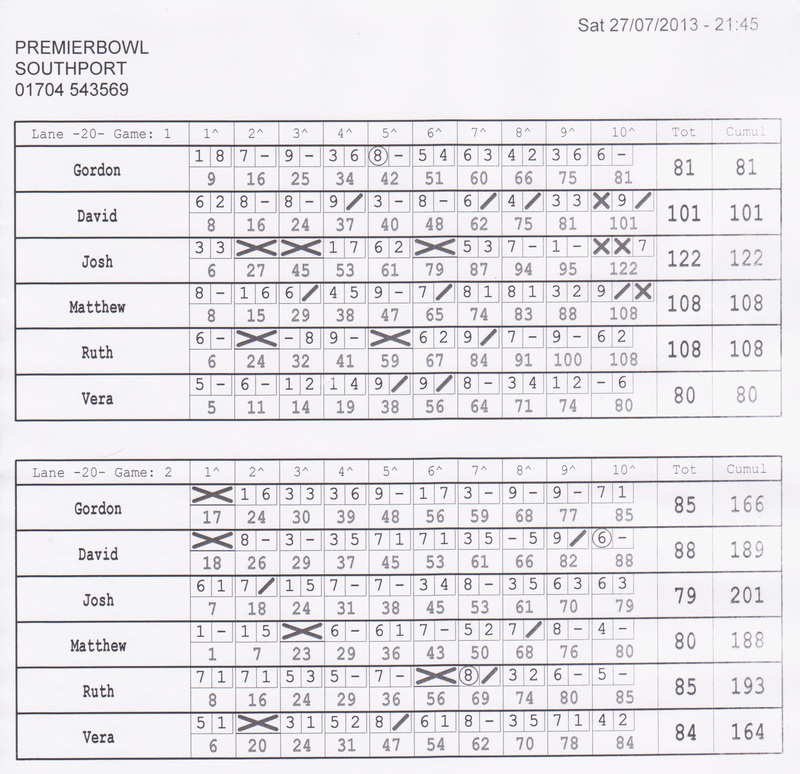 David and Matthew were – as they have been throughout their careers thus far – superb as the recipients of the ceremony, and conducted themselves perfectly throughout. We congratulate David and Matthew on their ascension to Master Masons but assure them, that this isn’t the end of their Masonic journey, merely the begining. 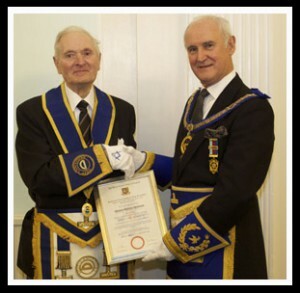 At our regular meeting this month, we celebrated 50 years in Freemasonry for one of our members William H Blank (Bill), who has served Minerva Lodge during all that time with unwavering dedication. The evening was presided over by the Assistant Provincial Grand Master, W.Bro Stanley Oldfield, who gave a wonderful recitation of the life and times of Bill Blank. 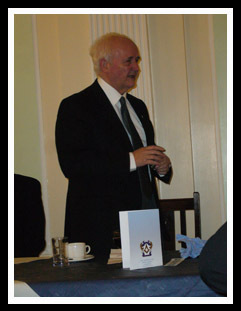 Bill’s life has been a fascinating and successful journey and all the members of the lodge enjoyed hearing the details of it. 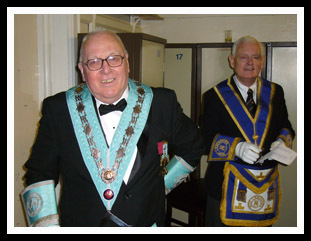 The whole lodge was lifted by the attendance of our well loved Brother Alan Sharp who for personal reasons has not been able to attend the Lodge for 4 years, but on the night, it was as if he had never been away. 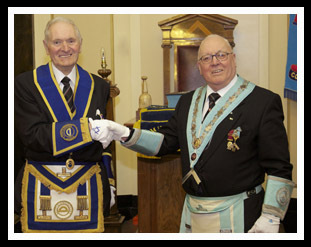 W.Bro Bill made the night all the more special by donating a beautiful pair of Deacons wands to the lodge, which will get much use and see many more brethren admitted, passed and raised through the years, A donation was made for £200.00 to the West Lancs Masonic Charities, on behalf of W.Bro Bill, which was gratefully received by W.Bro Stanley Oldfield. 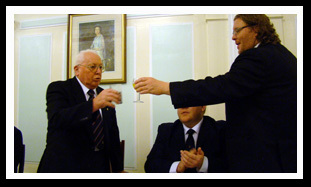 The festive board was a happy and lively affair as always, during which many speeches were made, but notably a fantastic poem, written and performed by Bro Alan Ritchie, which chronicled the life of W.Bro Bill and was delivered with poignancy and sincerity, to the appreciation of all in attendance. 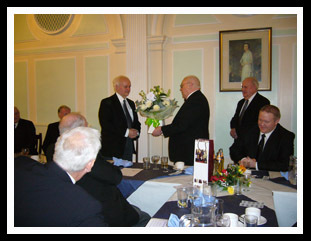 Flowers were presented to Bill and Stanley Oldfield for their wives, and Bill was given a Beswick Horse figure, with an engraved wooden plinth, as a token of the high esteem with which he is held by the brethren. Many congratulations to W.Bro William H Blank on this remarkable landmark in Freemasonry and long may it continue. The Worshipful Master Don Chetwynd congratulating Bill Blank. Ted Bickley, Bill Blank and Miles Cotterall. 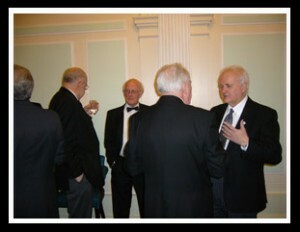 W.Bro Stanley Oldfield chatting to members of the Lodge. 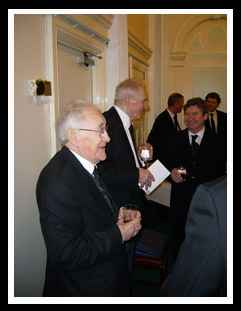 Alf Lamb, Phil McBride and Garth Prescott. 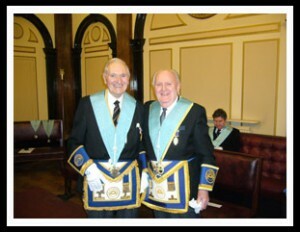 W.Bro Bill Blank and Trevor Jones. Lawrie Scott and Bob Prichard. Our Stewards – Phil McBride, Arnie Neale and Garth Prescott. 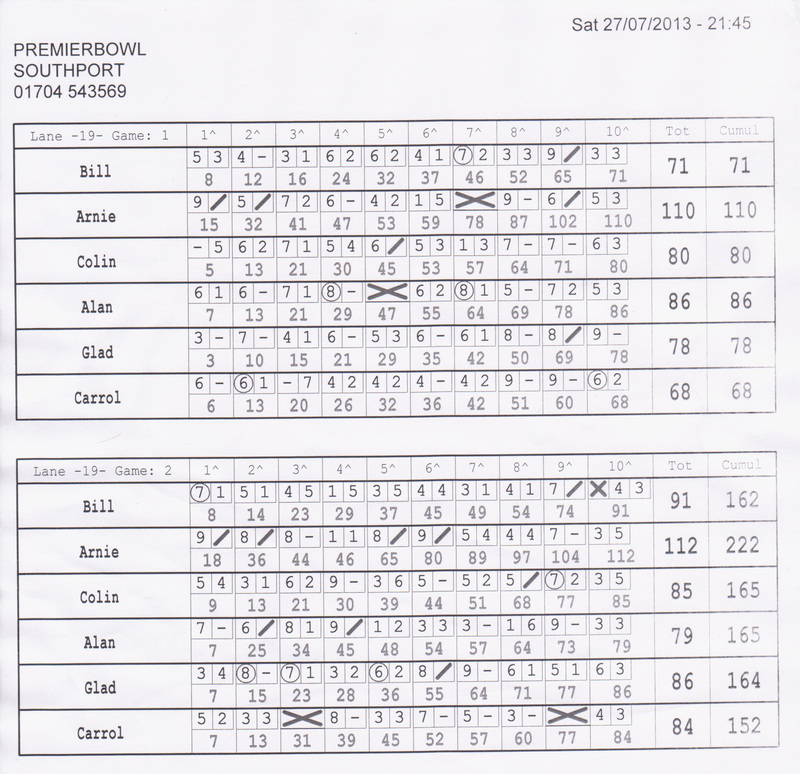 Miles Cotterall and Geoff Cundal. Colin Berrington and Jason Hengler. 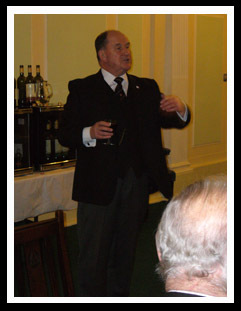 Alan Ritchie delivering his excellent poem. Flowers for Stanley Oldfield’s wife and for Bill’s wife Audrey. Also we have a new Brochure on Freemasonry charities highlighting our funding of local beneficiaries in West Lancashire and expansively throughout the world, which is now available in the Masonic Hall in Hope Street, but for those of you who haven’t yet seen it, here is a digital copy. Please find below the latest newsletter from the West Lancashire Masonic Charities, where you can read about the great work that they have been doing. 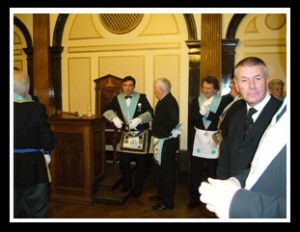 Some more images from our installation, courtesy of the Group publicity officer. Thank you W.Bro, Bob Hodgson. 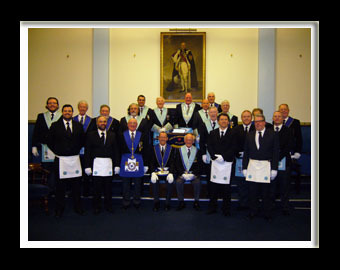 The lodge had been working hard all month to get ready for our annual installation ceremony, this years would be a slightly different than normal proceding as the ceremony would be a Proclamation, due to the Worshipful Master continuing for another year in office. 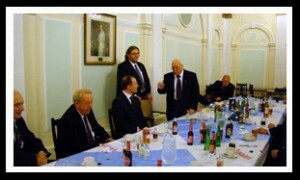 With 35 in attendance at the meeting we had a full room and in the presence of our Guests and Assitant Provincial Grand Master, W.Bro Roy Skidmore and the Group Vice Chairman, Bob Povall we all enjoyed a superb ceremony with congratulations due to all the Brethren of Minerva for their superb work on the evening and to our guests (some of whom were made to work for their supper). With £500 being donated to the Charities from the Lodge we all moved on to the Festive board and enjoyed a superb meal. Matthew Timmins, Lodge Steward at work. 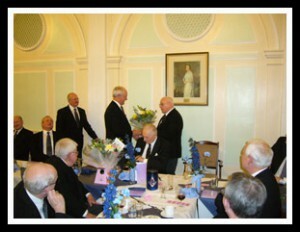 Flowers for the APGM’s wife. 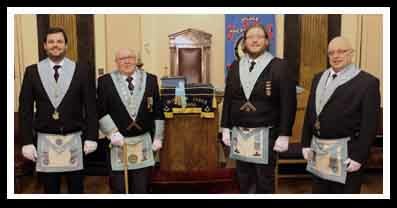 This month W.Bro Ted Bickley of Minerva Lodge invited several of our Lodge members to visit Rose of Lancaster Lodge who were having a lecture on the 2nd degree tracing board. 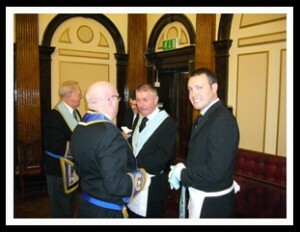 Our 2nd degree Masons; Bro’s. Arnie Neale and Matthew Timmins were accompanied by Alan Ritchie, Martin and Gordon Farmer. 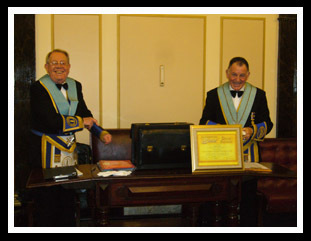 The evening was a phenomenal success with a great performance of the 2nd Degree tracing board lectrure being carried out with eloquence and feeling by W.Bro. 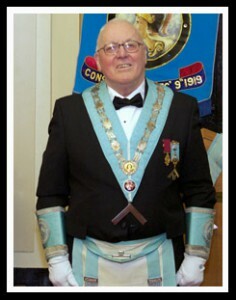 Dave Edwards of Rose of Lancaster Lodge. The Worshipful Master and Brethren of the Lodge all welcomed us into their company and we enjoyed their tremendous hospitality over the course of the evening. We hope that this is the begining of a long and happy friendship between Minerva Lodge and Rose of Lancaster Lodge. From all of us who were present, we thank you sincerely for a wonderful evening. January 2013 ~ The first meeting of 2013 was held at Hope Street Masonic Hall and was well attended by the majority of members of Minerva Lodge. 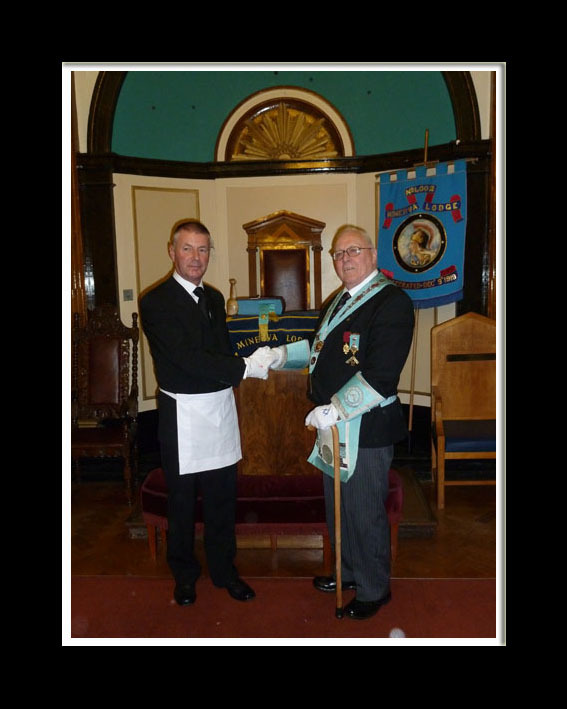 The Worshipful Master initiated Brother Philip McBride into the Lodge and the evening was thoroughly enjoyed by all, with a great ceremony by the members. 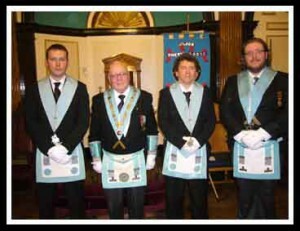 Welcome to Minerva Lodge Brother Phil.